Customer engagement software helps facilitate key interactions between customers and businesses, which can increase brand loyalty and repeat purchases. To determine the best customer engagement software, we evaluated dozens of options based on price and communication and engagement features, arriving at the top six as well as the best overall. Podium (Best Overall) Businesses building engagement through reviews and text messaging. Freshchat Engaging online customers through live chat for improved customer service. ActiveCampaign Engaging customers through email marketing to encourage repeat sales. 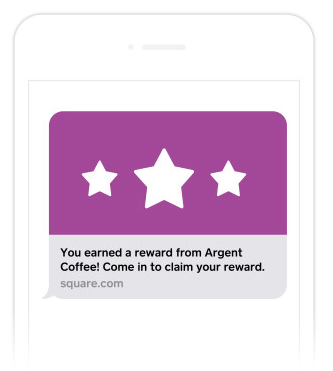 Square Loyalty Retail companies building engagement through rewards programs. InMoment Businesses wanting to engage customers through satisfaction surveys. Ning Engaging customers through conversation in a branded social media community. There are many ways businesses can build engagement with their customers, including online reviews, chat and SMS text messaging, email marketing, loyalty and rewards programs, customer satisfaction surveys, and social media. However, all customer engagement strategies center around increasing communication. To compare different customer engagement software, we looked at how each program helped with customer communication and overall engagement. Price – We prioritized cost-effective software programs with affordable monthly fees and minimal additional costs. 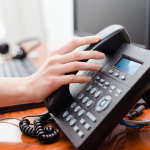 Outbound Communications – We looked at how the software allows businesses to reach out to customers. Inbound Communications – We considered how exactly the software encourages customers to contact or interact with the business. Two-way Communications – We looked at how the software facilitates back-and-forth conversations between the business and customers. Community Building – We also considered how the software allows customers to engage with each other and the business. Integrations and Compatibility – We looked at the point-of-sale (POS) systems each software is compatible with, and how it would work with other tools your business already has in place. Data and Reporting – We looked at the kind of insights each software provides businesses, such as if reports are customizable and if the software aggregates reviews and mentions from the web to provide further insights. Based on the above criteria, Podium is our top choice for customer engagement software. It increases customer engagement by helping businesses identify superfans by aggregating all online reviews in one place and keeping those customers engaged through SMS text messaging. Podium also allows businesses to reach out to customers who have left negative reviews to help remedy the problem. Podium is an online platform that helps businesses interact with customers through mediums such as texting and review sites like Yelp and Google. Podium lets businesses message customers and invites them to leave feedback or respond directly via text message. Podium also has web chat and custom survey solutions at a competitive price, making Podium the best customer engagement software for businesses wanting consolidated communication. Podium pricing is quoted individually for each business and is determined by which features you need: reviews, web chat, or surveys (messaging is included in all packages). Podium is designed for startups and small to medium-sized companies. Podium promotes messaging between customers and employees. Employees can invite customers to leave reviews and provide feedback. What sets Podium apart is how it aggregates all online reviews into one dashboard and lets businesses text customers directly from the dashboard. Businesses can see all online feedback right in one place. Podium has a messaging platform where employees can enter a customer’s cell phone number and use Podium to send customers SMS text messages. Podium also lets businesses invite customers to leave reviews, and can be used to send out customer satisfaction surveys. In addition to letting businesses text customers, customers can also text businesses. Text messages sent to businesses using Podium will appear on the Podium dashboard and as a notification when using the Podium app. Podium also has a basic web chat feature so customers can contact businesses from their websites, although businesses specifically looking for this feature should consider Freshchat. Podium really excels in two-way communications. With Podium, businesses and customers can text back-and-forth through the secure app. They can also communicate back-and-forth through the web chat feature. Podium is unique in having both of these features, and in a user-friendly interface. Podium encourages customers to leave online reviews, which help build a business’ SEO score and allow other customers to find your business more easily. However, Podium does not have a feature that allows customers to interact with each other. If this is a feature you are looking for, Ning is a solution that helps businesses build an online community. Podium is web-based and integrates directly with review sites like Google to pull in data. Podium also works with software programs like Square, Shopify, QuickBooks, and Salesforce. In terms of reporting, Podium aggregates all of your review data from across the web. Podium also lets you send out custom surveys to collect additional information, which can be downloaded in customized reports. Overall, Podium is a rather robust system. The main component that it is missing in terms of customer engagement is a feature that allows customers to communicate with each other, such as through a forum, comment section, or social media. If that is a feature you are looking for, Ning may be a better option. Overall, reviews for Podium are very positive. Podium is a relatively newer company, so their product and features are continually evolving. Some reviews have noted that reporting data can be hard to extract if you don’t build a custom report for the specific information you are looking for. Visit our Podium Review Page for more information. Podium is a great customer engagement tool for small businesses because it facilitates effortless two-way communication between customers and businesses, and encourages customers to boost your online presence with reviews. Podium offers free demos and creates a custom software package and pricing for each business. 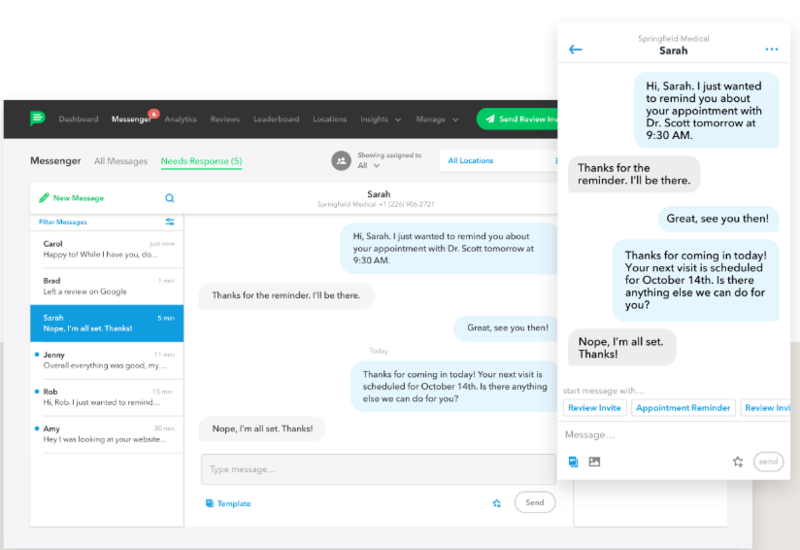 Freshchat is a messaging software specifically built for sales and customer engagement teams to communicate with customers on the business’ website FreshChat has features like campaigns, intelligent messaging, bots, and self-service capabilities, with prices between $0 to $39 per month. Overall, FreshChat is our customer engagement software choice for online sales organizations looking to engage customers in real-time via live chat. Freshchat has a range of pricing tiers, including a free version. So, whatever your company size, budget, or monthly website visitor number is, there is likely a FreshChat plan that will work well for your business. Paid plans range from $15 per month to $39 per month. *Prices shown are for annual billing cycles. Month-to-month plans are more expensive. Sprout is the free version of Freshchat. It includes 10 team members and unlimited contacts. The free version also includes the Freshchat priority inbox, which automatically sorts incoming messages based on priority and the desired response time. Sprout also includes message channels that categorize conversations by topic, such as delivery, pricing, etc. Sprout includes an Android and iOS app for team members to answer customers from anywhere. Sprout is a great option for small businesses, or businesses wanting to test out Freshchat before purchasing a higher tier. However, Sprout only allows for 10,000 monthly unique visitors. If you go above the allotted 10,000, it is an extra $50 for an additional 100,000. Sprout is therefore only a practical option if your site receives fewer than 10,000 unique monthly visitors. Blossom includes all of the features in Sprout plus a FAQ that is integrated with chat to help customers find answers to their questions. Blossom also includes file attachments in chat, basic reports, and the ability to set business hours for chat availability. Blossom also comes with a limited real-time dashboard to monitor conversation summaries, response times, and customer satisfaction scores. Blossom is a good option for businesses that have over 10,000 unique monthly visitors and want a cost-effective chat option with basic features. Blossom is a great option for businesses that want real-time customer support, engagement, and sales efforts on their website through a chat feature. Businesses that want a more general chat feature, among other features, should consider Podium. Garden includes all the same features as Blossom, but with automated features. Garden includes chatbots that help capture leads and upload contact information into your CRM. To learn more about CRMs, visit our Best CRMs for Small Businesses page. Garden also includes in-app campaigns to onboard, support, and retail customers in your app or website and unlimited triggered messages to engage customers. Garden is a good option for businesses that want automated functions. At $24/month per team member, Garden can quickly become pricey. But, if you are a small business with limited customer service employees and a lot of website visitors, having these automation tools could help improve customer engagement. Estate has all the features included in Garden plus a few additional extras. Estate has IntelliAssign to automatically send messages to employees based on their skill levels and current chat load. It also has co-browsing to help navigate customers to solutions. Most notably, Estate includes multilingual support in more than 33 languages. Estate is a good option for larger businesses or businesses that really need multilingual support. Estate is also a good option for businesses that need robust online customer service or technical support because of the IntelliAssign feature. Because Estate includes 500 minutes of co-browsing, customer service or support agents can guide customers through specific features. At $39/month per team member, this tier isn’t practical for smaller businesses. Freshchat has in-app or website chat. However, it doesn’t include a function that lets businesses or customers contact each other outside of the website. If that is a feature you want, Podium may be a good fit. There are also no social media features. If you want a solution that focuses on community building, look into Ning. Overall, reviews for Freshchat are very positive. Businesses and customers like the clean design. Business owners like the bot feature that can engage with customers outside of business hours. Visit our Freshchat Review Page for more user reviews. Freshchat is a popular live chat software that is great for engaging customers on your website or in your app. Customer service is available by phone during the week and via email on the weekends. Since there is a free version, there is no harm in giving Freshchat a try. Visit the website for a demo and to set up your account. ActiveCampaign is a marketing automation platform designed to help small businesses build sophisticated email campaigns with features like drag-and-drop designs and social integration. Priced between $17 to over $400 per month, it also includes email tracking, lead capture forms, and campaign tracking. ActiveCampaign is best for businesses that want to engage customers through email, because it is easy to create complex, personalized campaigns and view detailed customer insights. ActiveCampaign has four tier levels and pricing is based on your number of contacts, so it can range from as low as $17/month up to over $400/month. Estimate your specific pricing with a tool on ActiveCampaign’s website. Overall, the basic version is an affordable option for automated email marketing. *Pricing is for businesses with 1,000 contacts. Pricing varies with fewer or greater contacts. The Lite version of ActiveCampaign is $17/month for 1,000 contacts and includes all the basic features a business needs to engage customers through automated emails. This tier includes three users, unlimited emails, newsletters and drag-and-drop email design, social media integrations, the ability to segment contact lists, and basic reporting. The Lite version is a good fit for small businesses on a budget that don’t need functions like sales automation and lead scoring. Overall, ActiveCampaign Lite is a good, low-cost way to engage customers with automated email marketing, but it lacks in-depth sales tools that are included in the other two plans, such as sales automation and built-in CRM functions. ActiveCampaign Plus includes all the same features as Lite, plus sales tools like contact and lead scoring, SMS marketing, and custom branding. Plus also includes Facebook audience integration, SMS options, custom branding, and allows for up to 25 users. Plus is a good fit for businesses that will have more than three team members that need to use the software, and for businesses that want to not only engage current customers with email but also get new leads and new sales. The ActiveCampaign Professional plan includes everything in the Plus plan, plus site messages. Professional also includes three employee training sessions per month, and businesses can have up to 50 employee users. The Professional plan is almost identical to the Plus plan. 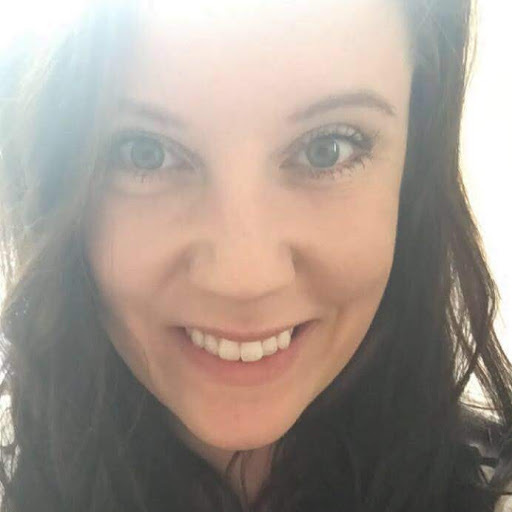 So, the Professional plan is a good fit for larger businesses that have more than the 25 employees allotted in the Plus plan or if you want the ability to message customers directly through your website. ActiveCampaign is a robust email marketing platform but is focused on outbound communications. There are not many features for customers to initiate contact with businesses, or for customers to communicate with each other. Podium could be a good fit for businesses looking for more two-way communication. ActiveCampaign really excels at custom and automated email marketing. Businesses can add conditional content blocks in each email effort, so emails will be customized to each customer depending on what criteria they meet. Businesses love that these sophisticated features are available in an easy-to-use, drag-and-drop format. The most common complaint is the lack of customer support. ActiveCampaign is one of the most robust and sophisticated email marketing tools available. ActiveCampaign offers a free demo and a trial for new customers. Visit their website to see which plan would be a great fit for your business; use their interactive pricing tool to get an estimate. Square Loyalty is an affordable software option with a digital rewards program that recognizes and rewards repeat customers, priced between $25 to $50 per month or higher for custom quotes. Square Loyalty works with the Square point-of-sale system, which is free to use, and gives businesses the ability to monitor engagement with the Square dashboard. Therefore, it is best for businesses that want to build customer engagement through an easy-to-use loyalty program that works with a well-known payment processing system. Square Loyalty is designed to streamline rewards so it is effortless for customers to participate. Businesses can create customized loyalty programs based on the number of visits, dollar amounts, or specific product purchases. Businesses can also create simple point-based rewards or create tiers and reward levels. Square makes it even easier because all customers have to do to sign up is enter their contact information at checkout. Loyalty programs are a valuable engagement strategy because customers are motivated by the idea of saving money or earning rewards. Retail Touchpoints reports that 86 percent of shoppers say they have joined a loyalty program to collect points towards rewards. Unlike most other types of customer engagement tools, Square Loyalty doesn’t involve a lot of customer communications. Customers just receive text messages when they earn a reward, which serves as a reminder to visit your store. Square Loyalty doesn’t have specific messaging features, but Square POS, which is used with Square Loyalty, does allow businesses to message customers directly through the Square dashboard. 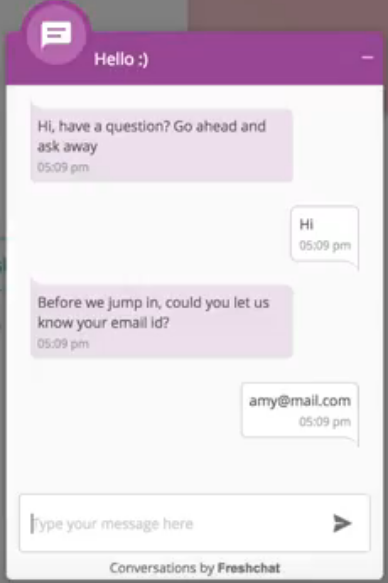 The Square platform lets customers engage businesses by responding to text or email messages that they receive from the business. Businesses and customers can communicate back-and-forth. Businesses manage this whole process through the Square dashboard. 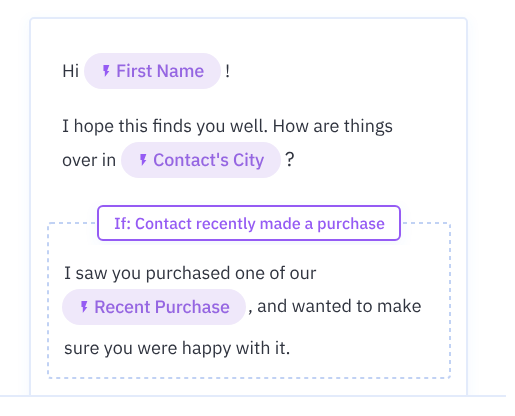 Although inbound communication is a feature of Square, it is not a main focus of the software, unlike Podium, which is designed specifically for creating dialogue. Square Loyalty helps to increase customer visits and overall spend through customized loyalty programs that incentivize shoppers to purchase more frequently. Businesses can create tiered reward levels, so customers can save points and work up to earning specific rewards or VIP customer statuses. Square Loyalty is connected with the Square POS system, so businesses can see exactly how the loyalty program is impacting their bottom line. However, as it is part of the Square POS system, it does not offer the same reporting functionality for businesses using another point-of-sale system. 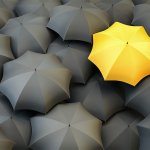 Square Loyalty is designed for brick-and-mortar businesses, specifically retail environments. If you have an online business or a business model that doesn’t involve a physical storefront, Square Loyalty is not a good fit. InMoment or Podium could be better for tracking interactions and getting feedback. Square Loyalty is also only compatible with the Square point-of-sale system. Square as a whole has very positive reviews. Businesses and customers like that the interface is intuitive and easy to use. The most common complaint is in regards to Square’s customer service. Phone support is only available to customers with current accounts, and several users reported their accounts being deactivated and unable to contact customer support. Square Loyalty is a popular platform for small businesses because it is affordable and easy to use. Sign up for the Square POS system for free, and then you can try Square Loyalty free for 30 days. 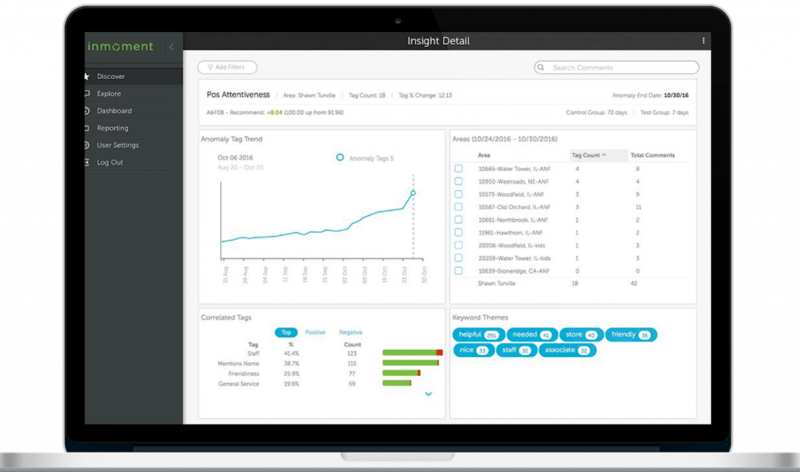 InMoment is a cloud-based customer insights platform that allows businesses to engage with customers through custom surveys after every interaction. InMoment also has features for customer outreach as well as analytics designed to help collect customer feedback and optimize customer satisfaction. Therefore, InMoment is our top software choice for businesses that want to engage with customers through surveys. InMoment pricing is custom for every business, and while pricing is not advertised, we believe it is likely the most expensive option on our list. However, businesses signed up for InMoment can access the platform through the website or mobile app for no additional cost. InMoment has a free demo and trial. InMoment has plenty of customer engagement tools with opportunities for in-depth reporting and analytics. InMoment has features like Voice of Customer and Closed Loop to ensure that there is a forum for open dialogue between businesses and customers and an opportunity for customers to ask businesses to reach out to them. InMoment specializes in collecting customer feedback through custom surveys, so InMoment is very strong in outbound communications and engagement. Businesses can use InMoment to ask open-ended and multiple choice questions on any aspect of the customer’s experience. InMoment has a feature in the surveys where customers can indicate whether they would like the business to contact them, and provide their preferred phone number or email. InMoment also provides customers with lots of opportunity for open-ended feedback. However, InMoment does not provide customers the option of messaging businesses directly. Podium and Square are the better software for that specific feature. InMoment provides very detailed custom survey options, including open-ended spaces for customers to leave comments, but the options for open two-way communications are very limited. Podium is a better option for two-way customer engagement through messaging. InMoment does have a feature that directs customers to leave a public review of the business after completing the survey. Other than asking customers to leave public reviews, InMoment does not have any feature that directly allows or encourages customers to communicate with each other. Ning is the best software on our list for building customer engagement through communities. InMoment has custom reporting options. If you are looking for very detailed insights into customer sentiment and feedback, InMoment is a great option. Businesses can evaluate customer satisfaction based on countless different variables, including specific products or services, employees, time of day, the day of the week, and the overall likelihood that they would recommend your business to a friend. InMoment is a great solution for building customer engagement through surveys. However, it is not a good option for building engagement through direct messages, two-way communication, or community building. For direct messaging options, look into Square or Podium. For community building, check out Ning. Overall, reviews for InMoment are very positive. Customers like that InMoment offers phone, email, training, and live support. InMoment is completely custom to your business, so there is some setup time and a learning curve for this solution. InMoment is priced individually for each business. If it fits in your price range, InMoment is an excellent choice for customer engagement software because of the detailed custom surveys it can create. Visit the InMoment site today to learn more and to book a free demo. Ning is an online platform that lets individuals and businesses create their own social media network around a specific interest using their own branding, design, and choice of features. Core features you can choose from include chat, forums, polls, integrations with other social media platforms, and monetization opportunities, all for a price between $25 and $99 per month. Overall, Ning is the best option for businesses looking to build customer engagement through a custom social media platform. Ning has tiered pricing that is affordable for small businesses. The Basic plan is $25/month, the mid-level Performance plan is $49/month, and the Ultimate solution for larger businesses is $99/month. Basic Ning includes necessary features to start an online community for your business, including a drag-and-drop builder, custom domain, custom design and code, API access, and community features such as photo and post sharing, blogging and forums, social network integrations, and ads to monetize the network. Basic Ning is a great option for when you are first starting your social platform, especially if you are a small business. At $25/month, the Basic tier is the least expensive, but it caps out at 1,000 members. So, it is a good option for smaller businesses or businesses that want to restrict the social network to paying customers. Ning Performance includes all the same features as Ning Basic, plus three additional administrators. Ning Performance also allows for up to 10,000 members and 10GB of storage. Plus, there are more monetization options with five email marketing campaigns available per month. Ning Performance is a good fit for larger businesses or businesses looking to use their social community as a way of attracting new customers and engaging with existing customers. Since Performance can accommodate up to 10,000 members, there is much more opportunity for businesses to scale their community. At $49/month, Ning Performance is still a good value and affordable for many businesses of all sizes. Ning Ultimate includes all of the same features as Ning Basic and Ning Performance. Plus, Ultimate includes up to 10 administrators and 100,000 members. Ultimate also has 500GB of storage and unlimited available email marketing campaigns. Businesses that pay for the Ultimate subscription also receive a dedicated support manager, live chat support, and 24/7 phone support. Ning Ultimate is a good fit for larger businesses that would need more than five administrator accounts or more than 10,000 member accounts. Ning Basic and Performance only come with email support, so Ultimate is also a good option for businesses that want more personalized support options. However, at $99/month, Ning Ultimate may be out of many small businesses’ price point. Ning is a very open and customizable platform, so it’s a great tool for fostering communication between customers and businesses. However, the biggest flaw with Ning is the lack of immediate support and customer service for businesses that have a Basic or Performance subscription. If you are looking for an option with phone support, Podium or Freshchat may be a better fit. Overall, reviews for Ning are very positive. Businesses like that the platform is very flexible and can be completely customized. The biggest complaint is the lack of customer service. There are many ways for businesses to build customer engagement: through outbound communications such as emails, inbound communications such as customer reviews, and creating communities like a social network. By increasing customer engagement, businesses create customers that are more loyal, spend more, and buy more frequently. Our top pick for customer engagement software for small businesses is Podium. Podium creates maximum returns for businesses by aggregating customer reviews and content from existing sites such as Yelp and Google into one place so businesses can monitor and respond easily. Visit Podium to request a demo and more detailed pricing information.